Three and a half months ago, I attended the National Voluntary Organizations Active in Disasters (NVOAD) Convening in Elizabeth, NJ. It was a fantastic event in which people from over 50 nonprofit, mostly religious, organizations came together to network, troubleshoot the ways they were providing Sandy disaster relief, and discuss how they might better tackle disaster relief challenges in the future. The need for better information-sharing tools and techniques was obvious in every event session. I scribbled notes and promised myself that I’d write a blog post about how the VOAD community could adopt a comprehensive information management strategy using free/libre/open-source software. The post grew in length and complexity, quickly ballooning into multiple posts, and launching Sarapis into a new knowledge management project. Three and a half months later, we have a 100+ page (and growing) wiki at DisasterRelief.FLOsolutions.org that catalogs some of the best practices for community-led disaster relief that we’ve encountered. Please check out the wiki, send us feedback and let us know if there is some information you’d like to see covered or you want to contribute. The NVOAD national convening was organized by National VOAD (NVOAD), which is led by volunteers and staff from its 108 member organizations. There is a VOAD in every state (ex. NYVOAD) and often in large cities as well (ex. NYCVOAD) — each of which is member-run and organized using a structure similar to that of the National VOAD. The VOAD meetings that I’ve attended have consisted of representatives of member organizations engaging in a facilitated conversation about how to overcome disaster-related issues, and then breaking out into working groups or committees to tackle specific challenges. While it was clear that the larger, better-funded organizations within the VOADs such as the Red Cross have more influence than the other organizations, there was — at least to me — a sense of horizontality and a genuine desire among participants to coordinate and collaborate with each other. Indeed, the VOAD structures reminded me more of “spokes councils” than they did traditional nonprofit organizations — which is pretty cool. VOADs help groups “active in disasters” coordinate better. From what I’ve seen, discussions center around a range of topics, from food distribution or rebuilding homes to performing case management or analyzing policy issues. Somehow, though, they all seem to end in the same place: with a discussion about how member organizations can better share information. In general, VOAD conversations are open, inclusive and generative: people recognize the expertise that they and others have gained from on-the-ground relief work, and eagerly share knowledge and information derived from those experiences. However, when the topic turns to software and data, the tone changes. People seem to imagine software and data to be obscure, complicated topics best left to experts — and they don’t imagine those experts to be the people in their network or the room. Many of the VOAD members I spoke with didn’t know what software they use, told me they don’t feel empowered to make changes to their websites or software systems, and don’t think they can have a software system that meets their needs without someone spending hundreds of thousands of dollars. The VOAD community takes pride in its DIY character. Rebuilding a house? No problem! Feeding ten thousand people a day? We’re on it! But when it comes to websites, databases and information management systems, people become overwhelmed. Yes, databases were extremely difficult and expensive to set up 10 years ago — but things have changed. There has been rapid and sustained progress in software technology, making most common technical challenges easy to overcome with relatively simple FLO (free/libre/open-source) software. For folks who don’t know what FLO is, a brief explanation is in order. FLO software is free (no-cost), libre (without restriction), and open (you can use, edit, modify and share its source code). Linux, Firefox, WordPress and Wikipedia are just a few of the tens of thousands of extremely popular FLO software packages being used by people everyday. FLO software, like VOADs, are developed by communities of people who work together to build systems that help people help each other. To learn more about FLO software, read this brief explanation and the “free and open source software” page on Wikipedia. I’m confident that the more VOADs learn about FLO, the more they’ll realize how FLO solutions can help them overcome many of the information management, communication and coordination challenges they face during disasters. Through a three-pronged strategy of trainings, support group cultivation and technical strategy, VOADs can transform their approach to information management. Software trainings: There is a tremendous need within the VOAD community for training in basic web-based software tools — especially WordPress, CiviCRM, LibreOffice and free (but not libre and open source) Gmail, Google Groups, Google Drive, Facebook, Twitter and YouTube web applications. Data trainings: There is also a massive need for education in basic data management and sharing techniques. The VOAD community needs to create a set of standard templates for common tasks such as canvassing, volunteer intake, work order management and sharing different types of data among organizations. Technology Support Group: The VOAD community should form a technology support working group where people can organize skill shares about various technologies useful to the community. If that goes well, such a group could also work with stakeholders to co-create a software development roadmap for local, state and national VOAD groups. 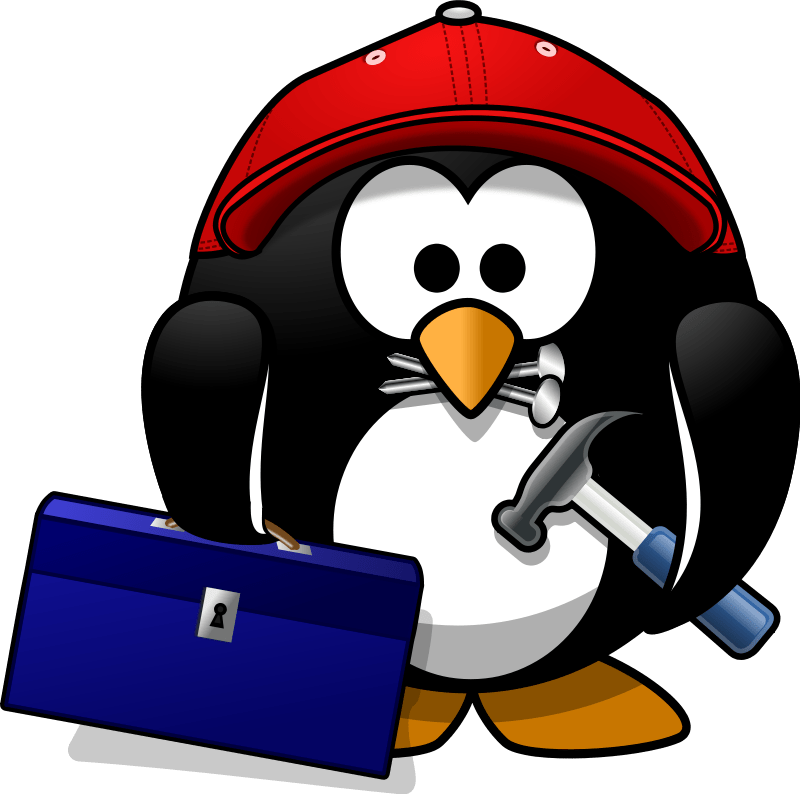 You can see a list of tools referenced throughout this blog post in the tools section of the FLO Solutions for Disaster Relief wiki. Your organization should have an attractive website that is easy for anyone who knows how to use basic office applications to maintain. The technology that makes this possible is called a content management system (aka CMS). There are a number of FLO CMS systems. Our favorite is WordPress, which makes it extremely easy to create web pages, blog/news posts, photo galleries, videos, events calendars, custom forms you can use to collect email addresses, contact info, surveys, process donations, and more. Hosting a WordPress website costs between $5-$50/month depending on how much traffic the website receives. Even if your organization isn’t interested in upgrading its website, building a WordPress site is cheap and easy enough that it might be worth creating one for your own team or for a specific disaster. The one piece of technology the VOADs do “share” is the Coordinated Assistance Network system (aka CAN). CAN is a disaster case management system owned and operated by the Red Cross and developed by VisionLink, a for-profit corporation that has also built the National VOAD website and the database systems that powers many of the nation’s 211 “human service” directories. While many organizations in the VOAD community can access CAN, access is often difficult to obtain and limited in scope. Moreover, there are no readily-apparent opportunities for the community to contribute to the system’s development. The general sentiment about CAN at the NVOAD event was that it’s a terrible piece of software, but it’s the best thing the community’s got. Even still, few organizations use it and it’s widely cited as one of the largest bottlenecks to effective disaster case management. It takes days, sometimes weeks, to be granted access to CAN; and many grassroots relief groups and some VOAD member groups simply don’t qualify for access. Many groups waste time and energy trying to access CAN when they could be using those resources to develop and deploy CRM systems that meet their own unique set of needs. All data that goes into CAN becomes the property of the Red Cross under terms that are difficult to question or change. Only CAN employees and CAN partners can perform import and export functions. No one but VisionLink can modify the CAN software. CRM (customer/constituent relationship management) systems are designed to help a large and physically dispersed group of people collect information about individuals and groups, record interactions and document outcomes. This type of tool is being used very successfully by a few VOAD member groups that I spoke with — but, by and large, the VOAD community isn’t using CRMs. Instead, most VOAD members I spoke with were either using spreadsheets or desktop-based database systems to track and manage their relationships. The few organizations that were using the CAN system for disaster case management and human services directory functionality lacked a solution for the CRM functions CAN doesn’t provide, such as volunteer and donor management. CiviCRM is a fantastic FLO case management solution, and also happens to be the world’s most popular FLO CRM system for nonprofits. A standard CiviCRM installation package can do donor, volunteer and case management, send out e-newsletters, process donations, generate event pages and maintain a directory of service providers to the public. Since CiviCRM is FLO, organizations can run it on their own servers or they can pay around $300/year for a CiviCRM specialist to install and host the software for them. CiviCRM makes it extremely easy to build a content-based website around it since it is a component of the three most popular FLO content management systems (WordPress, Drupal and Joomla). Indeed, if your organization is already using one of these CMSs, adding CiviCRM can be extremely simple. CiviCRM can be useful for any nonprofit organization that needs to send out email newsletters, process online donations and collect contact information — so even if your organization is happy with CAN’s case management functionality, you might nevertheless want to consider CiviCRM for other common nonprofit functions. CiviCRM could become a fantastic disaster contact and case management solution that any VOAD could use for itself and in partnership with others. And since the solution would be FLO, any organization wanting to become active in disaster relief would be able to “spin up” their own system and keep ownership over their own data. At the very least, the existence of a CiviCRM powered alternative to CAN will encourage VisionLink to be more responsive to the community of VOADs who use CAN. Of course, CiviCRM can play well with CAN by being configured to export and share data using CAN-compliant format and standards. Compliance with Federal requirements and standards is something that could also be built into a CiviCRM component, as could a basic reporting mechanism that would enable each disaster case management deployments to share basic identity information about clients to ensure that people aren’t enrolled in more than one case management system to get “double benefits”. If your organization or local VOAD group doesn’t currently have a CRM system for its basic operations such as sending our email newsletters, collecting online donations and tracking donors, then it should consider getting a CiviCRM. Develop a case management template (in XML) that could be imported into any CiviCRM to turn it into a disaster case management system. Estimated cost: under $10,000. Fund the development of a user interface for CiviCase configuration. There is a fundraising campaign currently underway to raise $30,000 to create a user interface that would make it much easier for people to customize CiviCase. Develop capacity within the NVOAD network for managing CiviCRM hosting, either by hiring a CiviCRM expert or contracting with a provider like CiviHosting.com. Run database management trainings so VOADs learn how databases can be used to solve a wide range of challenges they encounter. During a disaster, relief providers need good information about where to refer victims for “human-services” assistance such as homeless shelters, mental health counselling and food pantries. Unlike local business information, which was made readily available via the internet over a decade ago, “human service” information sits locked up in proprietary database systems that not even most VOADs — let alone disaster survivors — can access. This means disaster relief providers often have to direct people who need assistance to call their local 211 system operator and speak to a call center worker to access critical human services information. This can lead to confusion and wasted time for survivors. It also creates a problem for relief providers who want to ensure that survivors receive high-quality information and access to critical services. VisionLink, the company that makes CAN software, is also the nation’s leading provider of proprietary 211 software — making the inaccessibility of human services information inexplicable. Directory software isn’t particularly complicated. Indeed, there are a number of FLO software packages that could be used to organize and display 211 information to the public, as well as provide additional functionality like granular “agency-by-agency” permissions, calendaring, volunteer management, document management and other solutions touted by VisionLink as “what makes CommunityOS different.” Drupal and CiviCRM could both power 211 directories, as could Sahana EDEN and the Knight Foundation-funded Open211 software development project. Of course, software is just one part of the challenge. The other critical piece is a taxonomy for organizing 211 information. Fortunately, the Open Eligibility Project has produced a FLO taxonomy for 211 information that anyone can use to organize 211 data. With FLO software and data taxonomies available, the time is right for a group of organizations to come together to set up open 211 systems around the country. Such an effort presents an amazing opportunity for the VOADs — not only to increase information accessible to disaster relief providers, but to make “human services” information easier for everyone to access. National VOAD should ensure that 211 information is accessible during a disaster. This means having an easy-to-deploy FLO 211 directory software solution ready for when disaster strikes. This solution could be offered to state and city based VOADs immediately. A FLO 211 directory software solution could be built with CiviCRM and Drupal or with Sahana..
Each stage of a disaster presents a tremendous information challenge. People might disagree about what, when, where and how to share disaster related information, but it’s hard to imagine anyone will argue against better tools for data and information sharing. At the most basic level, VOADs should have access to a dropbox-like file sharing system which can host both public and private files and folder systems. OwnCloud is an easy-to-deploy, easy-to-use system that could meet this need. If a VOAD network wants to make it easy for its member organizations to benefit from the open data revolution, they can set up a CKAN “data repository”, which provides groups with the ability to upload, describe, preview, download, host and stream a wide variety of data formats. It can be used to host and organize PDFs, turn CSVs (spreadsheets) into interactive maps and serve dynamic data streams in real time to other software applications. For the more technically ambitious, it can also wrap data in an API that software developers can use to create applications, produce visualizations and build semantic information resources. Data repositories allow users to upload both public data that can be shared with everyone, and private data that can be managed by particular users without anyone else seeing it. To prevent confidential information from being made public, the system can be configured such that all public data uploads are moderated, and only approved data sets are made public. In such a configuration, when users find incorrect data or data that shouldn’t be shared on the system, they can flag it as inappropriate so it can be taken offline. Of course, with more data tools available, it would be incumbent on the VOAD community to learn more about how to use data and data tools to improve their operations. The VOAD community needs a place to share files. The first step is to set up an OwnCloud system (which would cost well under $1,000/year) and start giving VOAD members accounts and providing trainings that show people how to use widely-accessible online tools to collect, use, analyze, permission and share data. As people become more comfortable using this file sharing system, it might make sense to set up a CKAN data repository for the VOAD community. This is the same software used by data.gov and enables much deeper data utilization functionality. Without a software tool set to help organizations meet these needs, groups are often left using spreadsheets and personal relationships to make sense of the disaster logistics environment. Many people suffer and many resources are wasted because a coordinated disaster logistics network doesn’t exist — and it very well could. Sahana EDEN is a FLO “disaster management system” with robust logistics functionality that can be used by participating organizations to manage their own inventory, ship and receive inventory items, track assets (like vehicles and generators), build reports for various groups, and create maps. 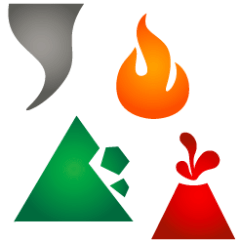 EDEN has robust directory functionality, for individuals, organizations, facilities, victims, volunteers, projects and more, making it a great tool for organizing information within a geographic area before disaster strikes. When disaster does strike, people can find the information they need in order to be effective in the aftermath. The National VOAD should work with Sahana EDEN developers to create a generic configuration that could be deployed by its chapter organizations, and/or in response to specific disasters. Sarapis has begun this work by helping to create an EDEN system for Long-Term Recovery Organizations in NYC. We will need assistance from the VOAD community, financial and otherwise, in order to see this project through. When disaster creates damage over a wide area, one of the biggest challenges is coordinating the (often volunteer) work crews to clean things up. This task requires a massive amount of information sharing: from the canvassing that results in comprehensive neighborhood damage assessments, to the assignment (or self-assignment) of work teams and the tracking of work statuses so the entire network knows what has been done and where. A new tool called CrisisCleanup distinguished itself during Superstorm Sandy relief work as an amazing solution to this challenge. It was developed by Aaron Titus, a volunteer within the Mormon disaster response community. As a part-time software developer, he saw a need for a tool that “implements a ‘Craigslist’ philosophy to recovery efforts—organizations that are aware of work orders enter them into the system, and organizations with capacity to help can claim and perform the work.” The tool’s success during Sandy was stunning: CWOS was used by over 100 organizations to coordinate nearly 30,000 volunteers fixing over 5,000 homes. What began as one person’s passion project has grown into an effort involving nearly a half dozen volunteer software developers and designers — and it is already changing the way disasters cleanup is managed. CrisisCleanup wasn’t developed by a software group inspired by building intellectual property for themselves or a high end consulting firm: it was made by passionate people who want to help people help each other. By embracing FLO solutions, the VOAD community can encourage more of this type of innovation from a global community of do-gooders. The team behind CrisisCleanup is enthusiastic to work with VOAD. NVOAD should encourage its members to take CrisisCleanup trainings before a disaster strikes and, when it does, push member organizations to sign up for that disaster’s CrisisCleanup instance. The FLO solutions I’ve described above have been and will be continue to be used during future disasters. 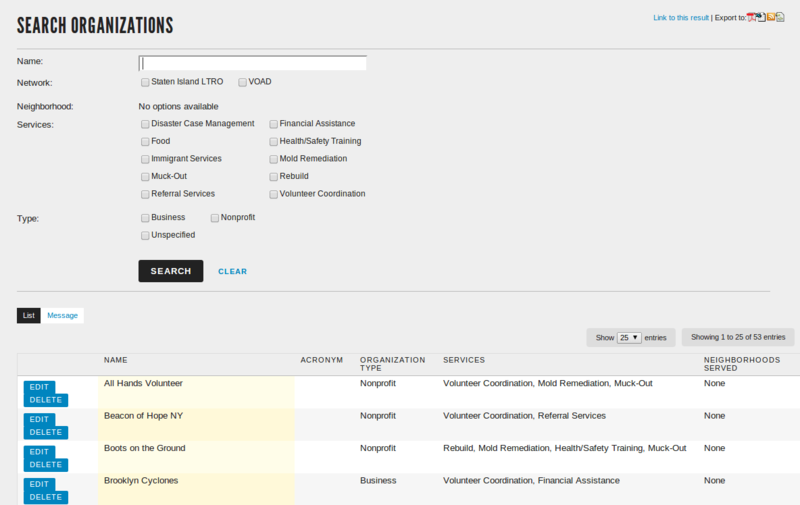 Some were used extensively during Sandy relief efforts, including CiviCRM for volunteer management and case tracking; Sahana EDEN for request fulfillment, inventory management and assessment tracking; CrisisCleanUp for collaborative work order management; and WordPress for fast and easy-to-use content-based websites. If the VOAD community were to bring these tools together to make them more accessible to member organization, the entire VOAD community would benefit greatly — and so too would all the future victims of disaster for whom they serve. maintaining deployments of these solutions for when disaster strikes. Over the last few months, we at Sarapis have built out a knowledge resource for the VOAD community cataloging FLO Solutions for Disaster Relief. We have also continued to help Long-Term Recovery Groups in the New York City area access FLO solutions using best practices in knowledge management. We’re now coordinating a technology development effort that will bring together numerous FLO software communities to integrate effective FLO solutions for disaster relief. This will create an even more comprehensive set of FLO Solutions for Disaster Relief. We’re looking for support from the VOAD community — city, state and national — for our work. Please connect with us if this post is interesting to you. If you want to receive updates about our progress with this initiative, please sign up for our newsletter on the top right corner of this page. If you have any questions, feel free to write a comment on this post or contact us directly. We’re currently accepting tax-free donations through our fiscal sponsor, On The Commons. Please support our work by donating today. The post FLO Disaster Relief Software – Recommendations for NVOAD appeared first on Sarapis.